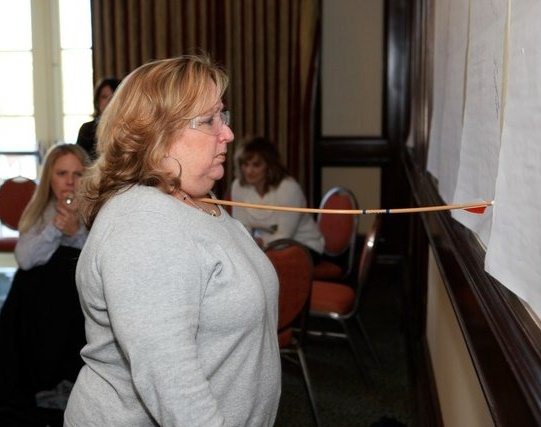 I broke an arrow with my throat at the Starfish Business Bootcamp in San Diego last week. Actually, all 9 of us did. 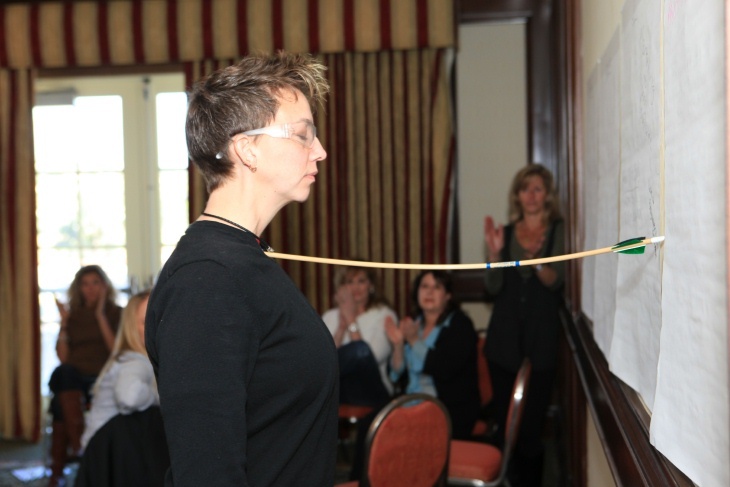 Women business owners making a symbolic statement of dedication to our toughest goals in the each others’ presence. Standing there with the arrow’s business end against the soft flesh of my throat and the feathered end against the wall in front of me, I knew my arrow-breaking success depended on an unwavering focus NOT on breaking the arrow, but on taking one committed strong step forward. Almost ready to take that step, I heard Lisa‘s heart-felt voice through the cheers around me: “One step… just one step forward!” and my arrow shattered. Apparently I had taken that step, and I was surprised by immediate tears of relief and triumph. That is the power of sisterhood. The extra strength and encouragement to commit to the next bold action and take the next step, knowing we have double intellect, creativity, and heart working with us. Each day, reach out to at least one woman to add to your sisterhood network. I think the word “sisterhood” too often gets a bad rap in business — that somehow it’s more about painting our nails together and less about the incredible power available to us when we women bring our support to each other and each others’ businesses. Day 1, hour 1, 9 women entrepreneurs — many who didn’t know each other — share stories of the craziest business-related thing they have ever done and what they learned from it. Trust-building immediately begins as we recognize ourselves in each other. Connections strengthen as comfort zones are pushed when we disclose our hairiest business challenges. We blow our fear-boundaries away by breaking arrows with our throats!! We empower each other by sharing our expertise. We learn to to value our tears as much as our laughter together. 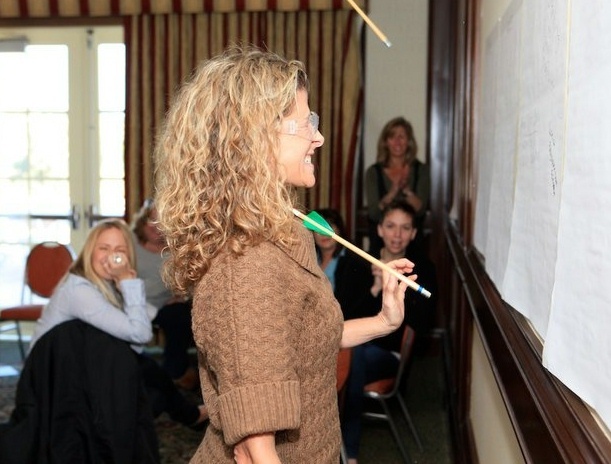 We become an incredible all-in-one sounding board, advisory board, and board of believers as we roll up our sleeves and work together on each woman’s business challenges. We make ourselves accountable to each other with 6 BOLD (the make-your-knees-weak kind of bold) Actions to complete over the next 90 days. And we honor each other with the gift of heart-felt attention as we witness and champion the shifts (and even transformations!) in each of us from day 1 to day 3 and beyond. “I’m not even calling it ‘touch-feely’ any more… this stuff WORKS. I have finally WOKEN UP to what is and to what can be!” — Lynn Griffith, founder of Welcome Events, Inc. This week, my dear sisterhood of women entrepreneurs, be intentional about expanding your sisterhood with other women who are ready to help you take that next strong step to “break your arrow.” Need a place to start? Connect with a comment below! 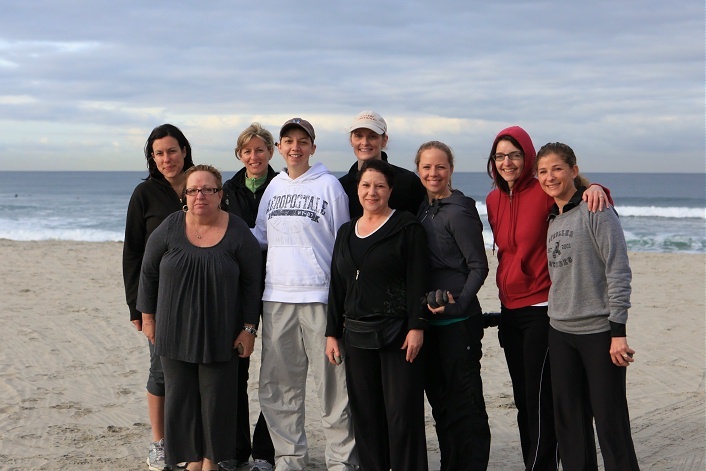 Also, there are still a few spots left in the next Starfish Business Retreat (June 22-24, in the Adirondacks of NY). Email Lorin today to reserve your spot!